Every day, opioid addiction destroys lives and tears apart families in North Carolina. It is a public health emergency that Blue Cross NC is committed to addressing. We’re announcing three policy changes for opioid prescriptions and treatment for opioid dependency. These changes will help prevent addiction, treat dependency, and save lives. Starting April 1, we will limit the first-time prescription fill of short-acting opioids to a maximum of seven days. 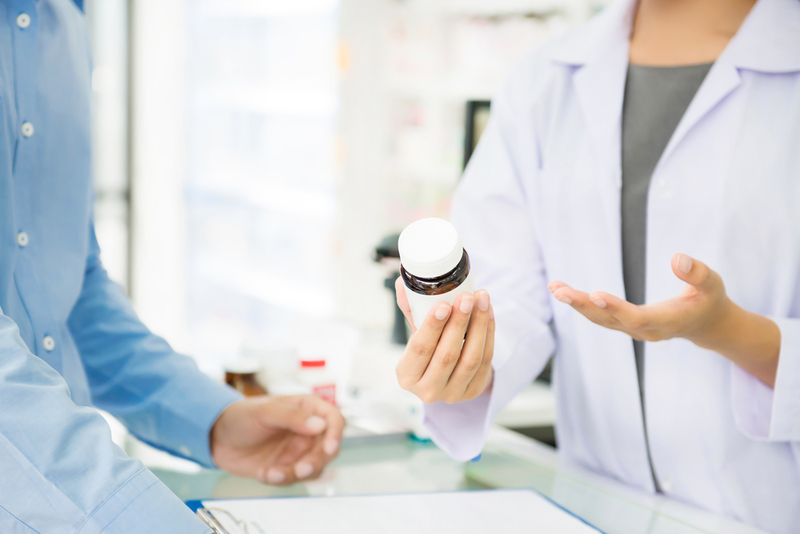 After the first prescription, customers can fill future prescriptions for larger supply if it is appropriate. This lowers the risk of chronic opioid use. It also limits the number of unused opioids that could end up in the wrong hands. This policy change aligns with nationally recognized Centers for Disease Control and Prevention guidelines on the appropriate use of opioids. The NC STOP Act also puts a seven-day limit on certain first-time prescriptions. Our data, however, shows that roughly 15 percent of first-time acute opioid prescriptions exceed this maximum requirement. While this is down from 20 percent at the end of 2017, claims data shows that between 2,000 and 4,000 prescriptions are filled each month that exceed the seven-day limit. We want to bring that number down to zero. Under our new policy, any initial prescription for an immediate release opioid for more than seven days will be automatically rejected. The pharmacy will be prompted to re-process the prescription for seven days or less. You will not have to get a new prescription from your doctor unless it is for a controlled substance. Please call the number on the back of your member ID card with questions. Starting April 1, providers will be required to obtain prior authorization from Blue Cross NC before prescribing extended-release opioids to new patients. Documentation in the patient’s clinical record of a trial of immediate release opioids before starting extended-release products. Review and documentation of current medications to avoid dangerous drug interactions. Patients who are being actively treated for cancer or who are hospice-eligible, will either be granted authorization through claims history or through their provider attesting to their current treatment. Blue Cross NC is now covering Sublocade. This is an injectable drug designed to treat opioid dependency. Successful treatment of opioid abuse disorder with Sublocade requires that people do not take opioids or related drugs of abuse such as Soma. If you are approved for Sublocade, you will not be able to fill a prescription for Soma or opioids. Providers will be required to get prior authorization for Sublocade. The approval of Sublocade, and block on Soma and opioids lasts for 365 days. Providers must submit a request for the block to be removed. Blue Cross NC’s has a three-pronged approach to addressing the opioid epidemic: prevention, intervention, and treatment. Since 2013, the company’s efforts have lowered opioid prescriptions by 16 percent. These efforts include providing risk screening and education, contacting providers with significantly higher rates of opioids prescribing, monitoring for patients who “prescription shop,” and running a 24-hour member opioid helpline. Blue Cross NC is also investing $10 million dollars to address the opioid epidemic. But we know there is still a lot of work to do. Everyone who is in a position to address this epidemic must do so. These changes are just the beginning. You will see more from us.